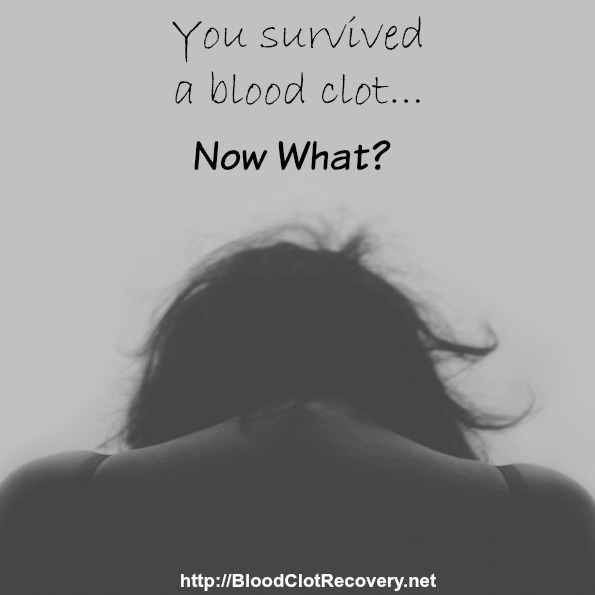 In 2008, at the age of 18, I got my first blood clot. During a weekend away, I began having pain in my right hip which lasted the entire weekend and gradually became stronger. I tried to ignore the pain until I woke up Monday morning with swelling in my entire leg. I had no idea where the pain was coming from so I called off work and made my mom take me to the emergency room. While waiting to see a doctor, my entire leg and foot began to turn purple and swell even more. Nurses did X-rays on my hips and found nothing wrong. Eventually, a doctor came to see me and told me I had Bursitis (swelling in my joints). My mom got me an anti-inflammatory and we went home feeling satisfied that we found out what was wrong. Later that night my uncle called to talk to my dad about the plumbing in his house. Fortunately, my family doctor is also my uncle, and because I was not feeling any better, my mom asked my dad to tell my uncle what had happened that day at the hospital. Without hesitation, my uncle asked my dad to squeeze my calf and bend my toes. He couldn’t. The swelling was too severe. After hearing that and without even seeing my leg, my uncle told my dad that I had a blood clot and needed to get back to the hospital immediately. Feeling nervous, I asked both of my parents what a blood clot was and they responded, “not good”. My dad told me to pack an overnight bag which confused me even more and brought on feelings of fear and helplessness. I did not know how much more severe all of this was going to become. As soon as I got to the emergency room, I was taken right back to a room where an ultrasound technician was waiting for me. She asked me if I was taking birth control and I told her I was. She immediately asked, “Do you take YAZ?” Again, I responded, “yes” and she told me that day would be the last day I would take it. 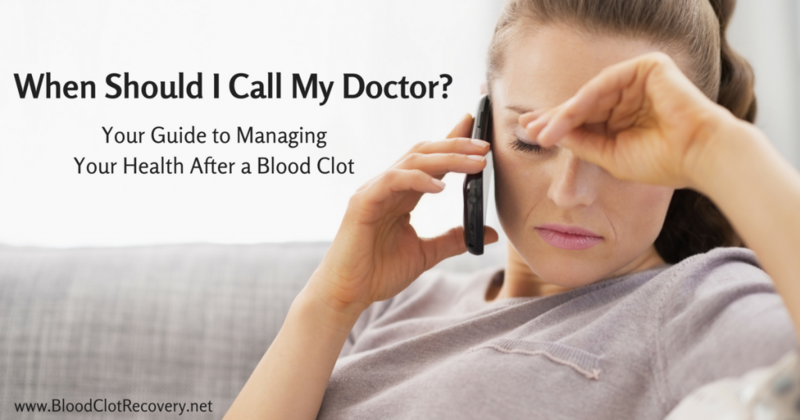 As she began to do the ultrasound, she told me it wasn’t a question of if I had a blood clot, but how big it was. 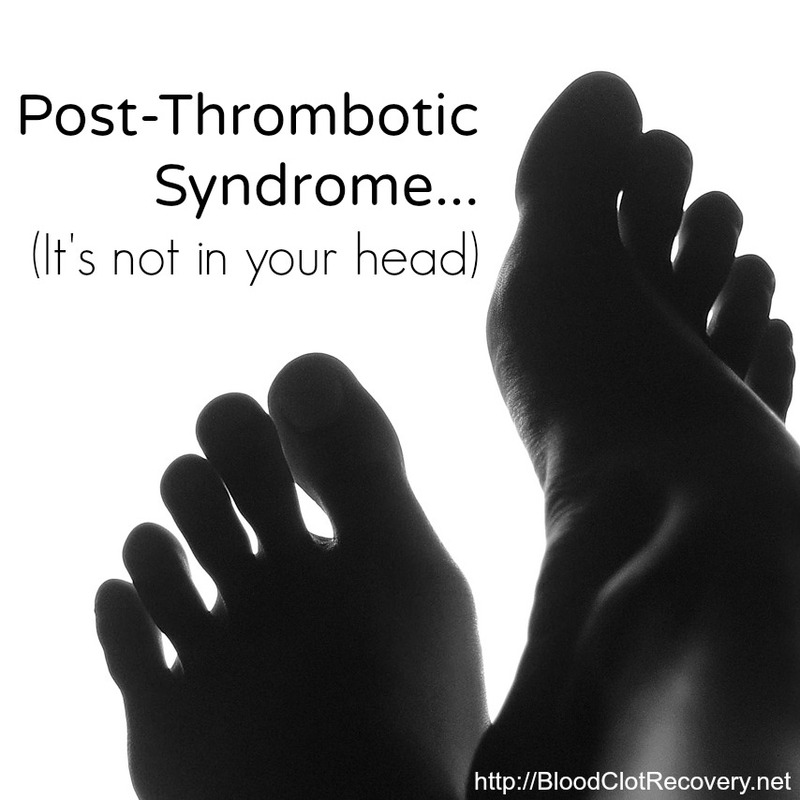 At10:15pm, I was told my blood clot started in my toes and extended all the way to my hip. I was admitted to the hospital and stayed the night with my mom by my side. 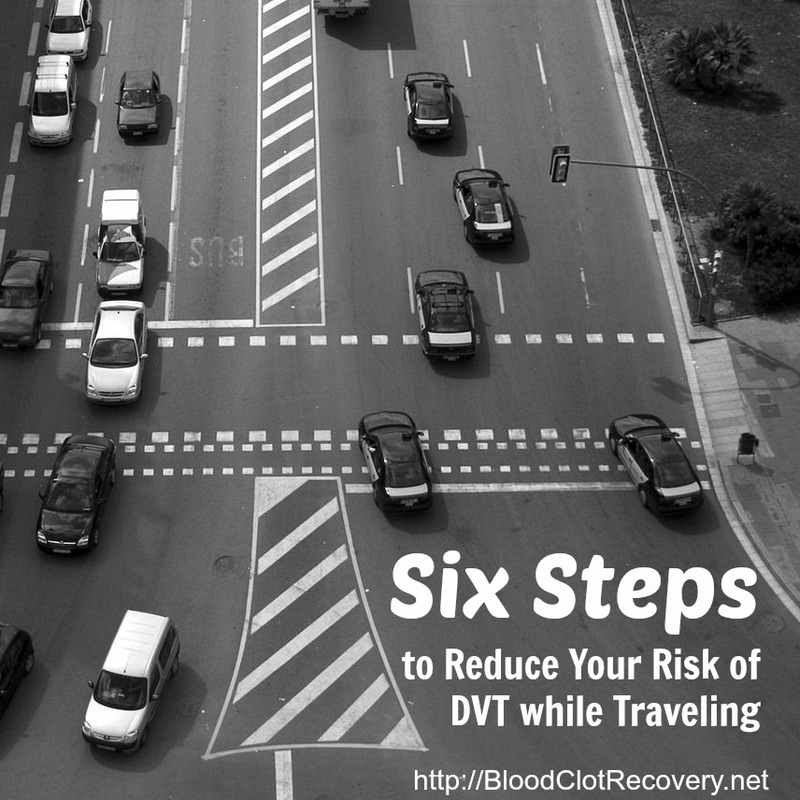 The next morning, around 8:30am, my blood clot was re-evaluated. It was determined that the clot continued to get larger, and now extended to my belly button. 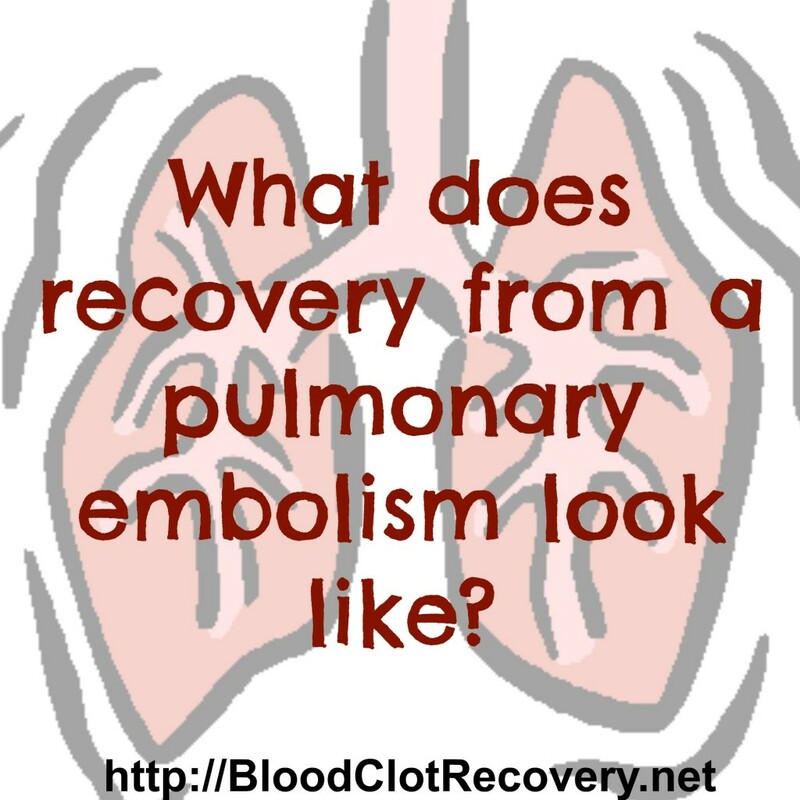 The doctors’ main concern was because the vein the blood clot was in is a vein that travels to my heart. 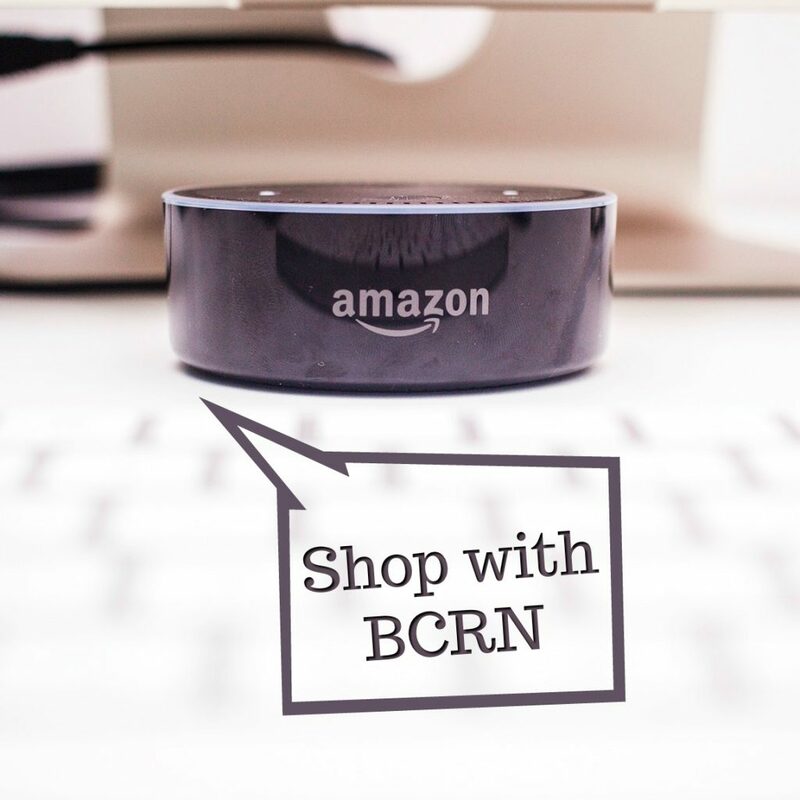 Because of this concern, an implanted filter could be used to ensure the blood clot did not break off and travel; but it would not get rid of the clot so the filter would not benefit me. 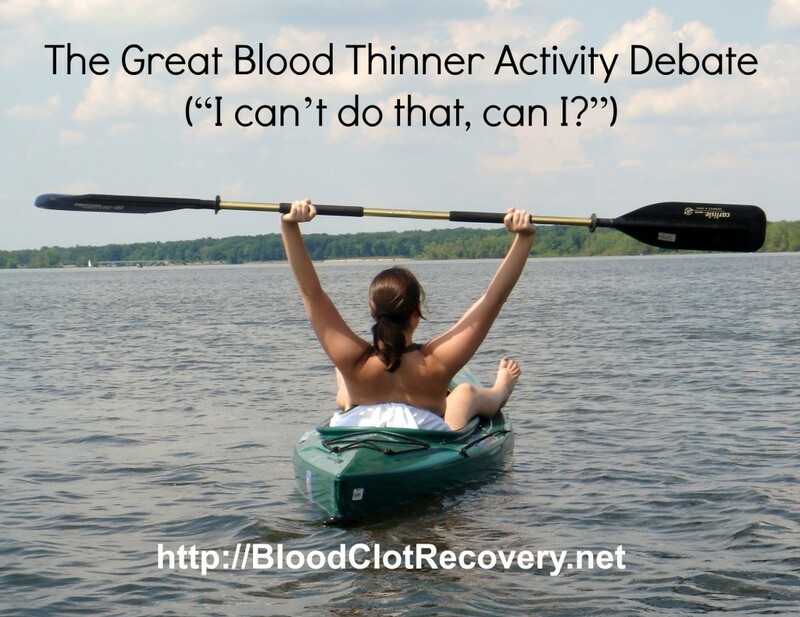 By the afternoon, my uncle decided he would try a treatment that would hopefully dissolve the blood clot; a treatment that he had never tried before. I think it was at this point when I began to panic because the reality sank in. I suddenly became aware of how severe and scary this all was becoming. The next morning I went in for a short procedure to insert three tubes in the back of my leg. These tubes would pump a heavy-duty anticoagulant through my clotted veins. Because of the strength of the anticoagulant and the potential life-threatening complications, I began my stay in the ICU. The doctors told me the tubes could be in my leg anywhere from a couple of hours to a day at most. While the tubes were placed, I could not sit up. I could not bend my leg. I could not really move at all for fear of moving the tubes and causing more pain and damage. 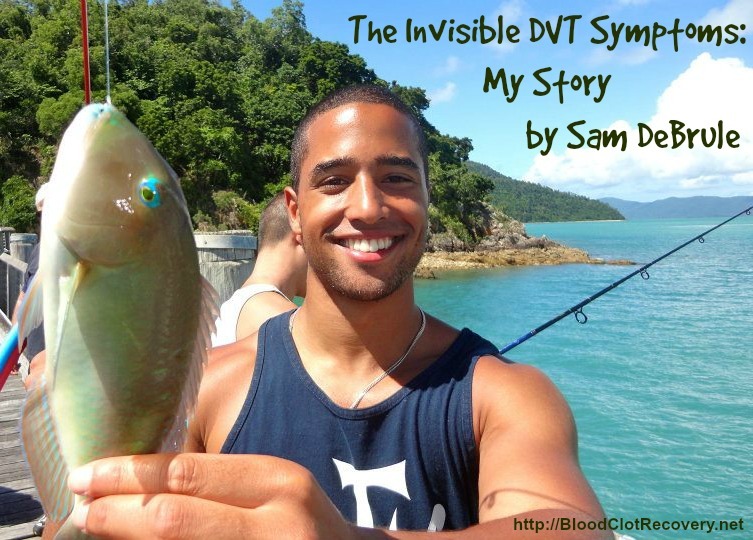 Each morning I was taken back down to a short procedure room and had dye shot through my veins to determine if the treatment was working. One day turned into two, two into three, and finally after five long, fear-filled days, the clot began to partially dissolve. The remaining settled in between my calf and my toes. I spent another two days as an admitted patient, scared that the blood clot would get larger and eventually travel to my heart. As a young college student, eighteen years old, I never imagined I would be scared of dying. After two more days, I was released with a diagnosis of Factor V Genetic Mutation or Factor V Leiden with DVT (Deep Vein Thrombosis). I went home on the condition that a home health nurse would come to my house every day to draw blood and administer Lovanox (blood thinner) shots in my stomach. 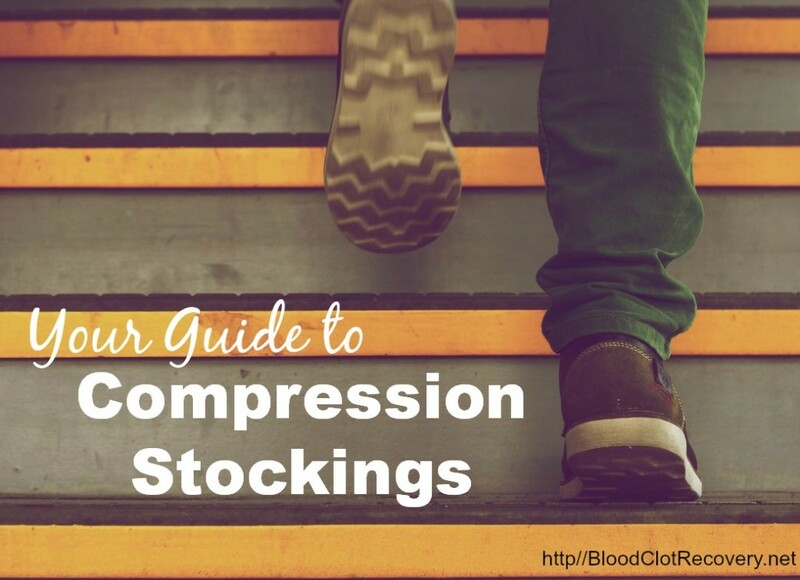 I had to wear a compression stocking that is tight on my leg to help improve the circulation of blood. Finally after eight terrifying days, I was able to leave and return home. As I made my way out of the hospital, I realized that I had to relearn how to bend my leg and even walk again. After eight days, I left a new person – feeling damaged, hurt, angry, and broken. After weeks filled with many specialist and doctor appointments, I was faced with the reality that my entire life was different. 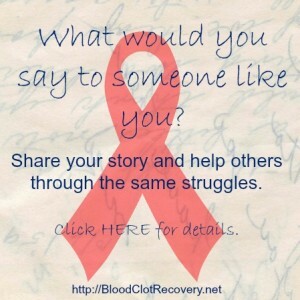 I was put on a lifelong treatment of Coumadin (an oral blood thinner). 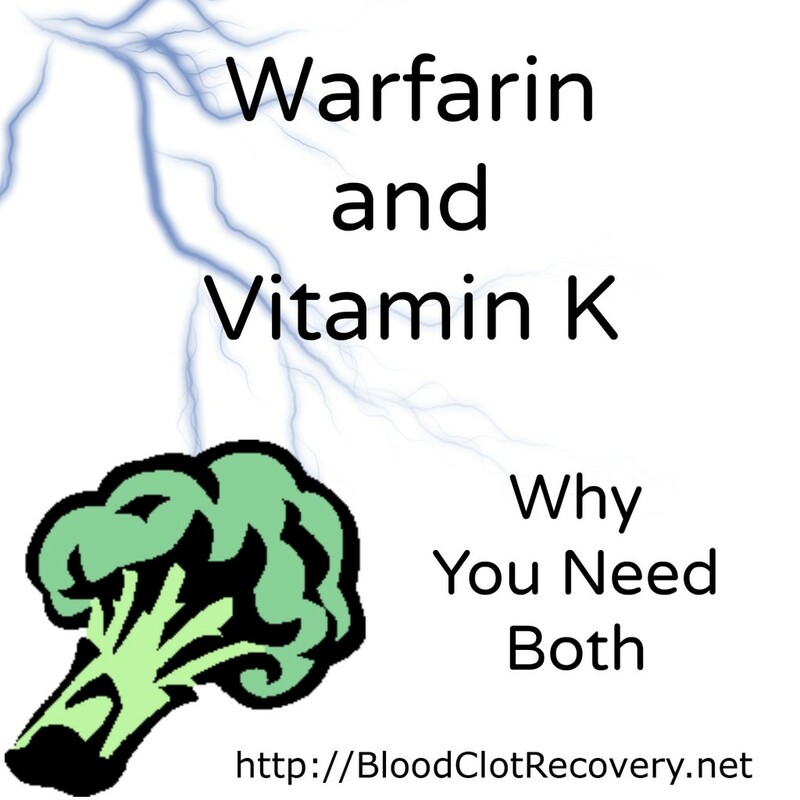 This changed the amount of vitamin k I could intake, the types of medicine I would be able to have, and began to thin my blood so much that a mere paper cut would bleed for five minutes and a small bruise would last for weeks. I began my sophomore semester of college in the fall, and had to watch how long I was sitting in class. I had to walk around campus with a bright white compression stocking on. At the time, I hated that I had to wear it because everyone would stare. 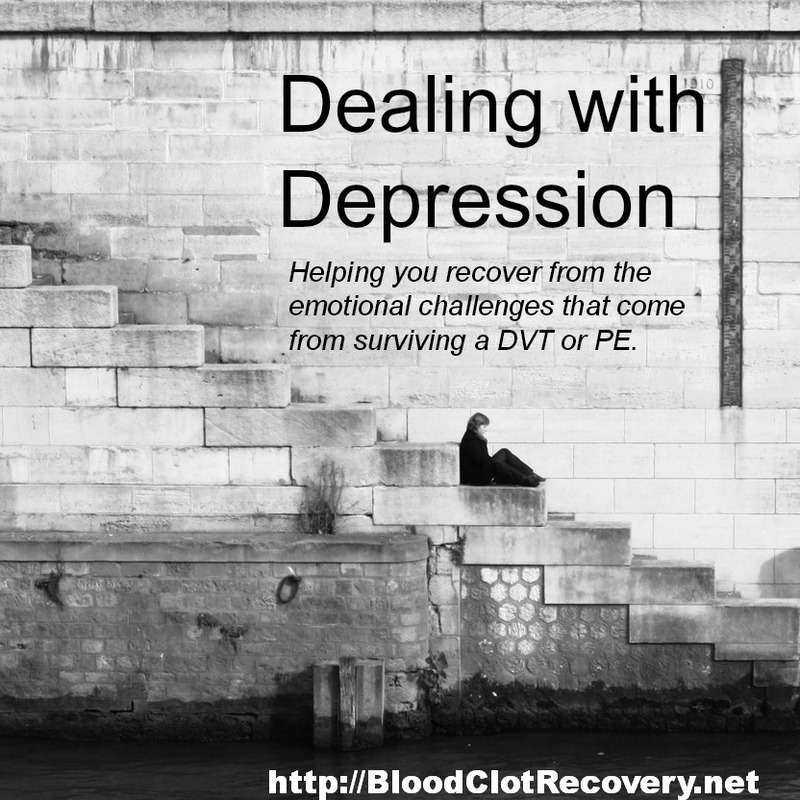 I became angry that my entire life had to change because of a blood clot. I spent a year or two battling with feelings of self-doubt, pity, disappointment, and resentment. I was dealing with so much while other college students were busy deciding what they were going to do with their Friday night. It took a lot of time, support, and healing to come to terms with my new life. I got there eventually. Fast forward six years and I have now recently made a huge decision that will affect me and my future children and family. From the day I was diagnosed with Factor V, many doctors and specialists assured me that my children were guaranteed to have the same genetic mutation. I could not imagine wanting that life for my child or any child. I did not want my children to wear a stocking. 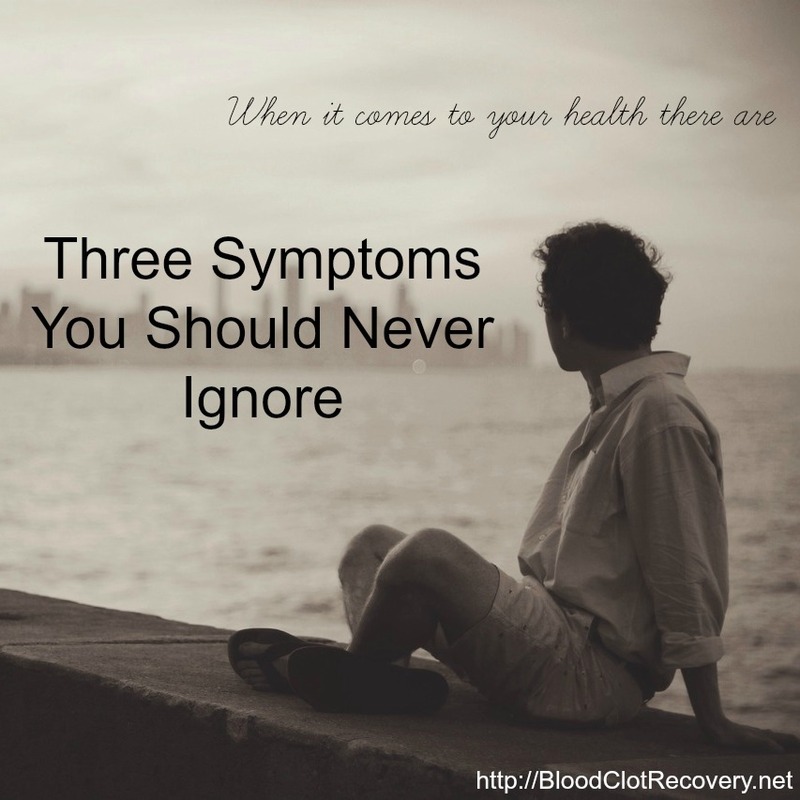 I did not want them to be forced to get blood drawn every 3 – 4 weeks. 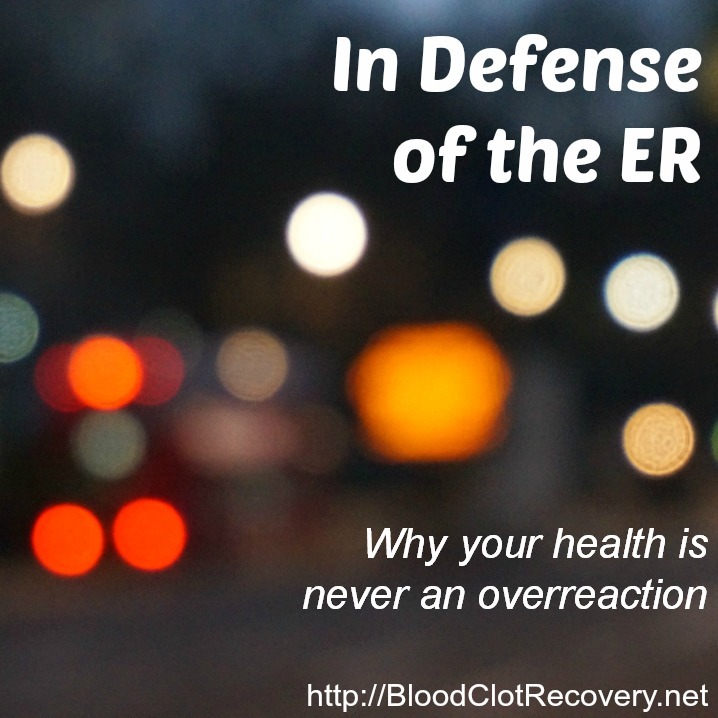 I did not want them to have to be scared of throwing a blood clot every day of their lives. Because of the many risks associated with pregnancy and childbirth (for me as well as my children) I wanted to avoid the chance of pregnancy and any of the risks associated with it. 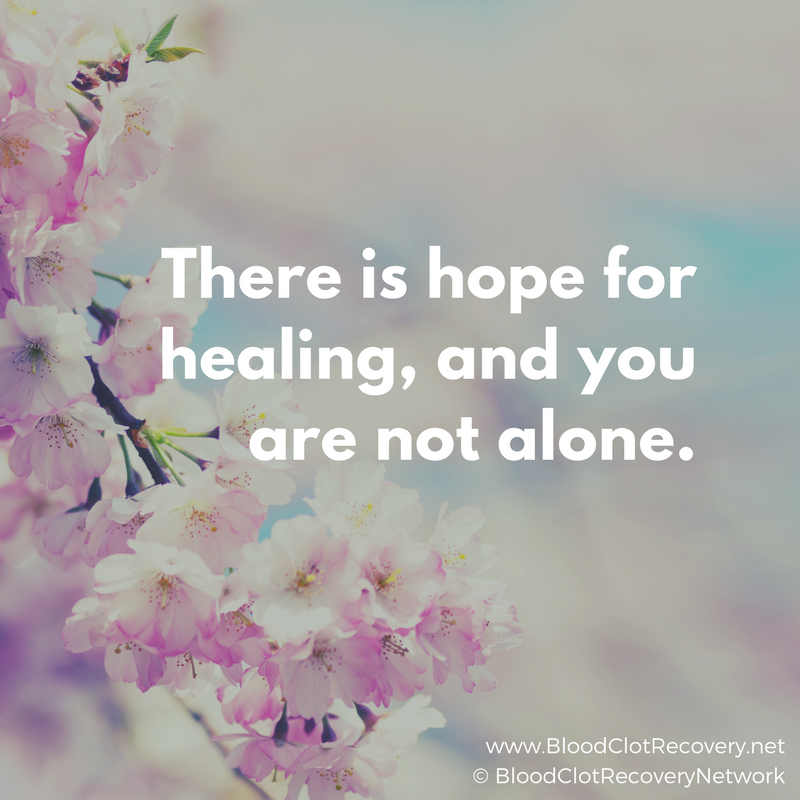 After years of contemplating and dealing with the conflicting positive and negative feelings towards the situation, I met an amazing doctor who helped me feel confident and brave enough to make the right decision for me. I decided to get my tubes tied. I scheduled appointments with genetic counselors and specialists who provided me with every piece of information they could to help ensure I was making the right decision. In the end, the support of my family and friends helped me make the best decision I could for myself and my future children. I followed through on the surgery just three days ago. I had the tubal on March 21, 2014 and unfortunately threw another small clot in my calf. 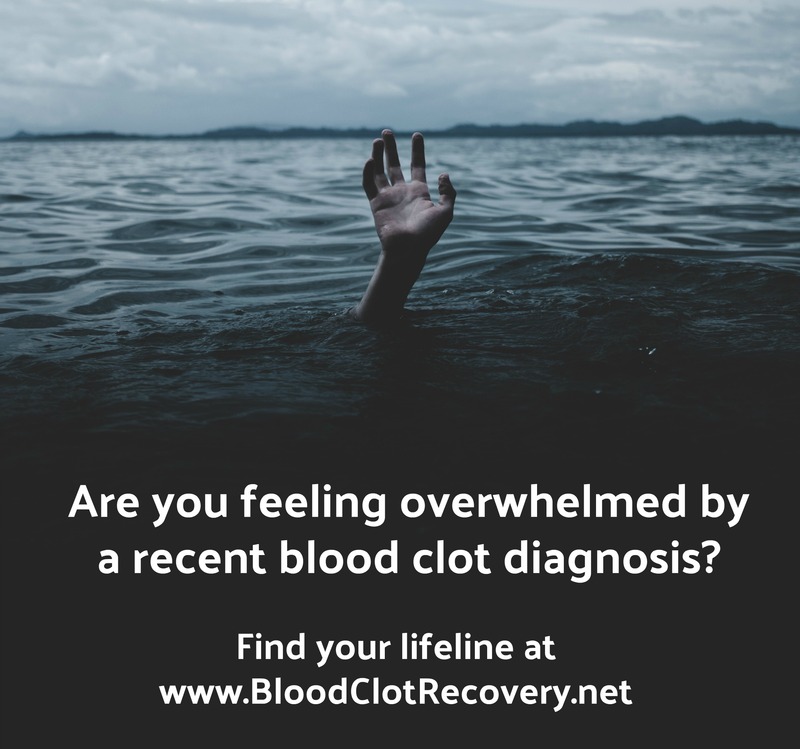 When I found the blood clot, I instantly filled up with feelings of fear and hurt. I was angry that this decision I painfully made was only going to cause more pain and suffering. I will forever live with this diagnosis and I now had to suffer the consequences of my decision. 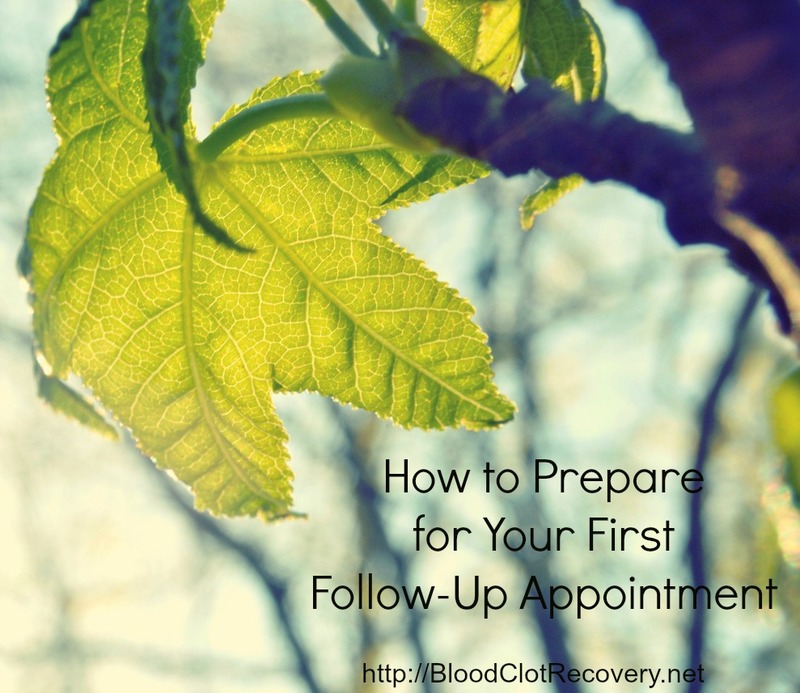 The first time I had a blood clot, I was unsure of what was going to happen. Now that I knew what could happen, I was terrified. Once again, my life could be changed, or even cut short before I had the chance to experience a lot of things that life might have in store for me in the future. Thankfully my uncle came to my rescue again and saw me as soon as he could. He assured me that this time the clot was not as concerning. Since we know how my body reacts, we can solve this problem. I will now spend the next week receiving Lovanox shots in my stomach twice a day as well as taking Coumadin to help thin my blood and dissolve the clot. There are many times I return to the “life isn’t fair” feeling, but at the end of the day I am thankful for the amount of support I receive from my family and friends. I can ignore the stocking I wear every day. I can deal with the pills I take every night. I can cope with getting blood work done every couple weeks. I can survive and thrive knowing that the consequences could be so much worse. The blood clot and damaged veins are painful and ache each and every day – but at the end of the day I am here, wearing my stocking, and thankful for the life I was given. 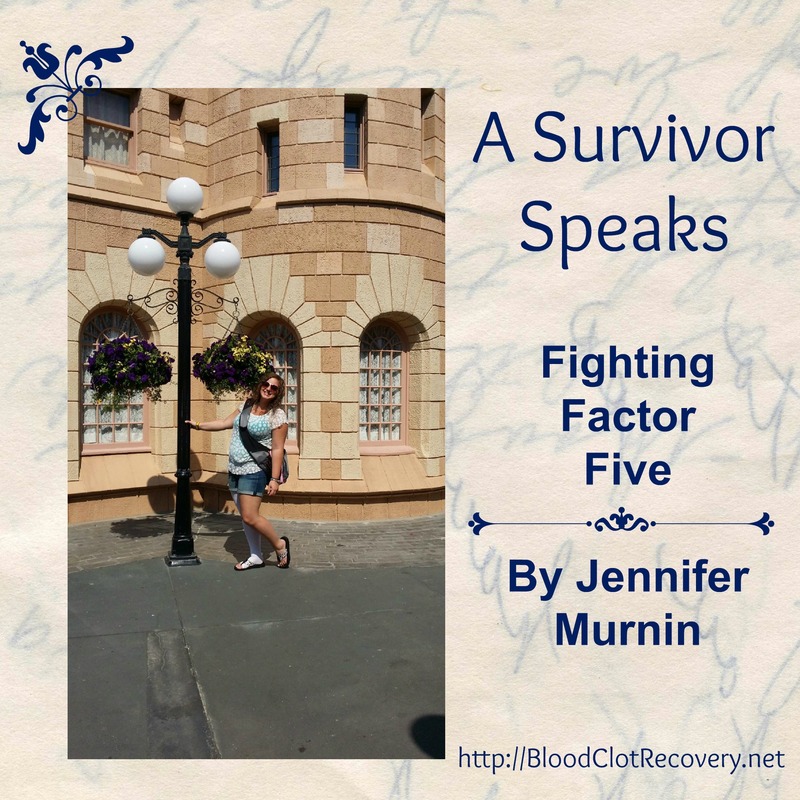 Jennifer and her friend, Katie Martin, are doing everything they can to help raise awareness about blood clots and make a difference in the lives of others facing this often devastating diagnosis, including walking on the Stop the Clot team in NYC on June 7, 2014. Jennifer and Katie have a fundraising page to raise money for the National Blood Clot Alliance. Please check it out, share and donate if you are able: www.grouprev.com/factorvfighters. 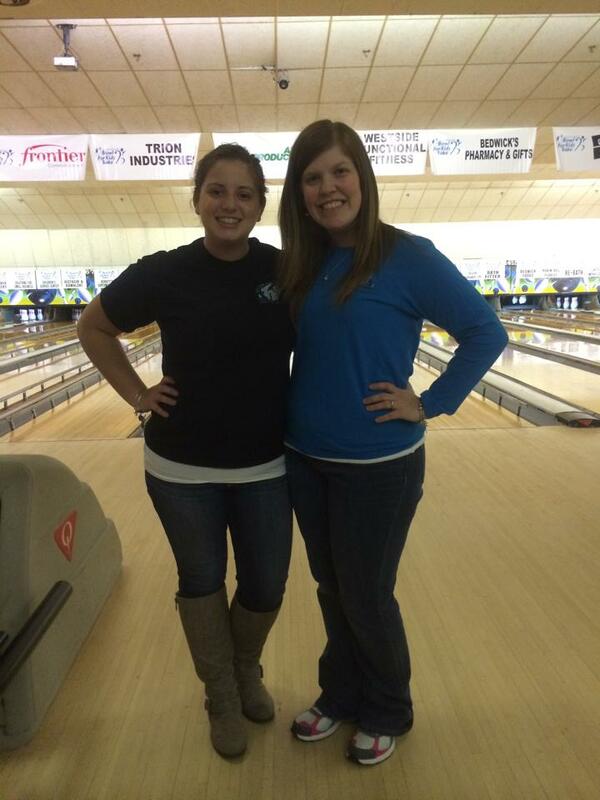 Good luck Jennifer and Katie, we will be cheering for you.